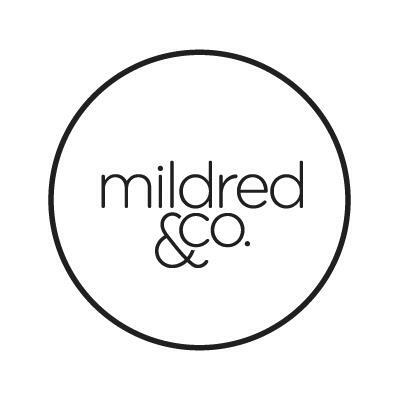 Mildred&Co is New Zealand’s premiere gift store and wedding registry. Lovingly-curated, Mildred&Co sells everything you could ever want for your home and beyond. From cake mixers to barbeques, bed linen to art work, each item is carefully selected for its high quality and beautiful design. Mildred&Co makes selecting and buying gifts easy – saving time and hassle for both the couple getting married and their guests. To choose their wedding gifts, the couple can simply select their desired items online from anywhere in the world, or from 2013, meet with a style consultant at the Mildred&Co showroom in Auckland to peruse the gifts over a glass of champagne. Once the gift list is created, guests can purchase with ease either online, by phone or email and then sit back and relax. After the wedding, all the gifts will be bundled together, beautifully wrapped and delivered to the couple’s door for them to cherish forever. Saves time and hassle for both the bridal couple and the guest. Eases the pressure on friends and family to buy the perfect wedding gift. Ensures the bridal couple are given exactly what they want and need for their home and beyond. Omits the risk of double-up gifts. Offers a one-stop-shop of gifts, ranging from leading brands to unique, designer pieces. Gives the bridal couple the option to choose artwork, vouchers and experiences if they already have a full house. Offers gifts for all budgets, so that guests can spend according to what they can afford. Ensures that the gifts are beautifully presented and delivered safely.